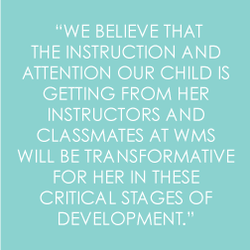 Mixed aged classes, developmentally appropriate lessons, personalized instruction. The Core Montessori Program runs half days on Monday through Thursday (with an optional Enrichment Program on Fridays for 2nd year Junior Kindergarten students). Children can begin this program in the year that they turn three. Starting in their Junior Kindergarten year (the year when a child turns four), students have the option of attending our Friday morning Enrichment Program. 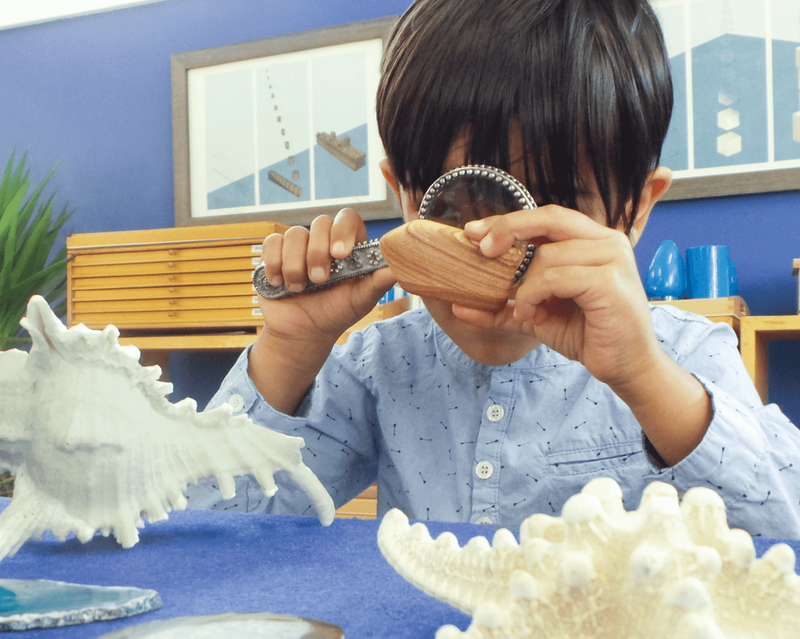 Divided into age-based classes, enrichment program activities allow the extension of the Montessori curriculum with a specific, smaller group focus. The program also includes outings, several field trips, science experiments, novel study, journal writing and project work. ﻿The Kindergarten year at WMS is a defining year for the students. Our multi-aged classes allow Kindergarteners to be mentors and to extend their understanding beyond the basic curriculum. Kindergarten students have the option to attend class for half the day (Monday through Thursday with Enrichment Fridays) or for an Extended Day Program. The Extended Day Program includes a full day on Mondays through Thursday and Enrichment on Friday mornings. ﻿The majority of our Kindergarten students attend class for the full day Monday through Thursday (along with the Friday morning Enrichment Program). Students in the Extended Day Kindergarten Program attend the upstairs class for half the day and the downstairs class for the other half of the day. The extra classroom time allows them to participate in activities like novel study, Mastery class and advanced project work. ﻿All of our students participate in Specialist Classes with dedicated teachers. In groups of up to 10, children receive instruction from specialist teachers three days of the week. One day they participate in Yoga, one day they learn French and a third day they engage in the Orff music program. Fees for specialist classes are included in the regular tuition cost. The three year old child spends much time in the Practical Life area developing self helps skills, fine motor abilities and a sense of order in order to cultivate independence, focus and confidence in his or her own abilities. The Sensorial area is also introduced to refine his or her senses in preparation for later scientific study. The second year student delves deeper into the study of Language, Math, Geography and Social Sciences. Introductory reading, writing and math skills are presented to the children. This year allows students the opportunity to assist their younger peers while still following the leadership of their older classmates. The third year Montessori child takes on great responsibilities within the classroom, among his or her peers and for his or her own learning. The teachers continue guide the children to reach their full academic and social potential in this capstone year of the Three Year Cycle. What School Year Should Your Child Apply For? If your child was born in 2015, he or she will be 3 years old in 2018 and can apply for the 2018 - 2019 school year. If your child was born in 2016, he or she will be 3 years old in 2019 and can apply for the 2019 - 2020 school year. If your child was born in 2017, he or she will be 3 years old in 2020 and can apply for the 2020 - 2021 school year.